OMG is done! I may have mentioned a few times that quilting is not my favourite part of the process. But I have been trying to broaden my horizons and have been using new FMQ motifs. 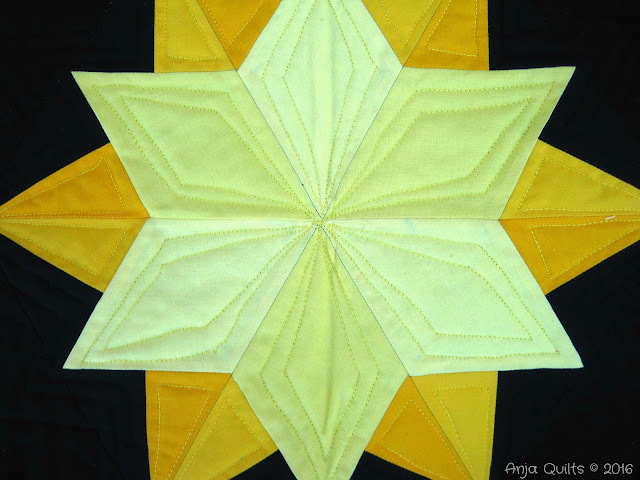 Which I have enjoyed doing, but I still hate quilting!!! I decided to jump on the #BraveQuilter bandwagon hosted by Julie @ Pink Doxies. Dot-to-dot quilting, here I come. 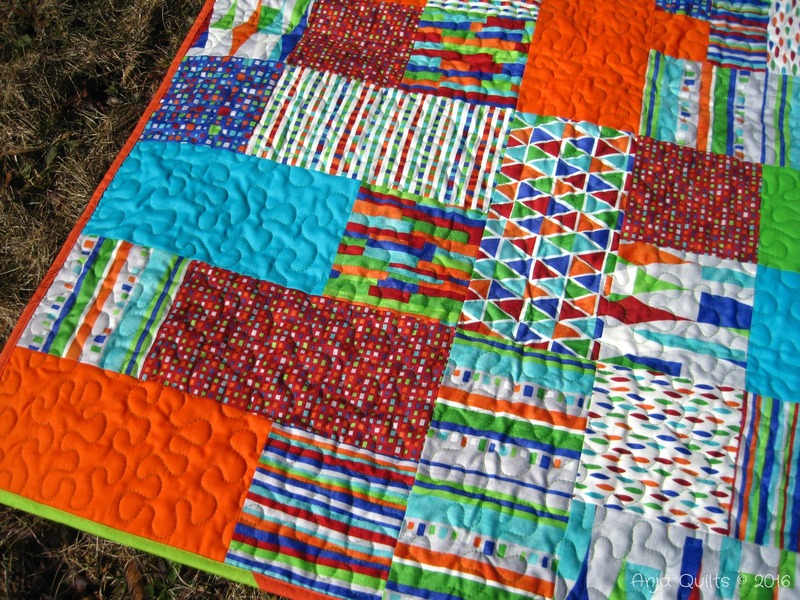 Well...I had to do a lot of travelling in the ditch to get this quilted. Which was better than a million starts and stops. 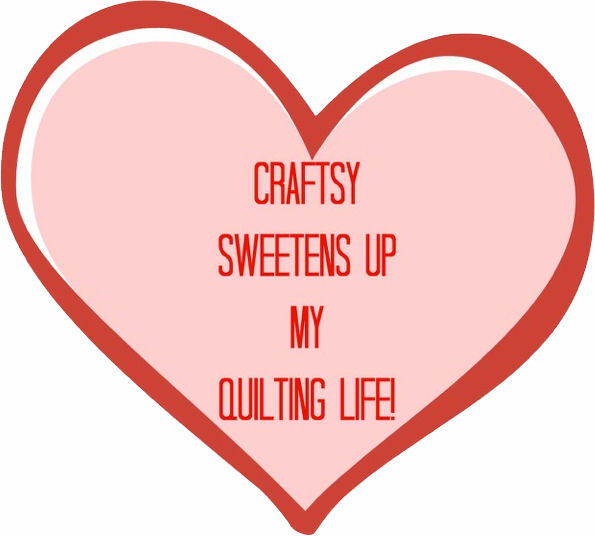 But, I was cranky the entire time while quilting. And then I didn't like the quilting when I was done. 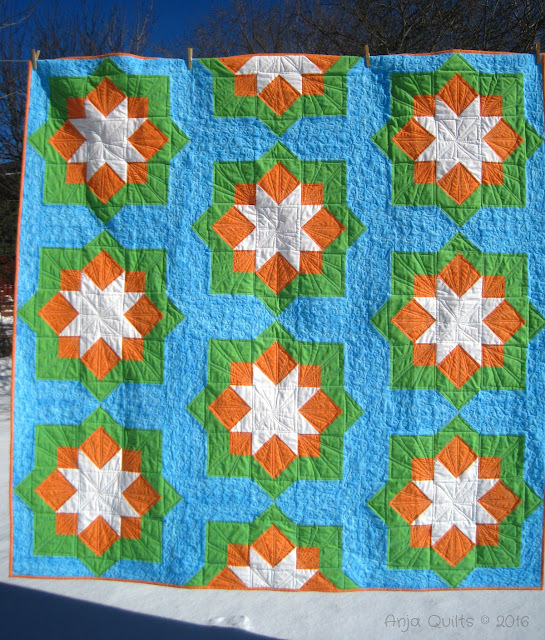 The pinwheel motif at the intersection of the blocks didn't wow me. 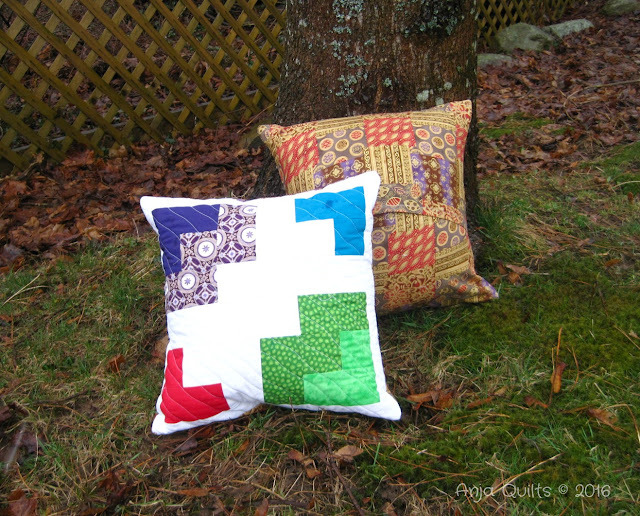 But I managed a great photo shoot during our recent quilt retreat. Which made me happy. Thanks to Dena for her assistance. This was my April OMG goal, as well as one of my Q2 Finish Along goals. 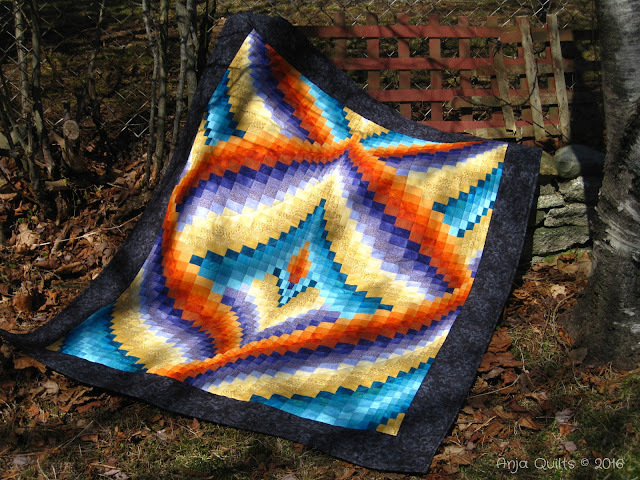 Night Sky by Jaybird Quilts was my ALYOF November goal, which I finished here. 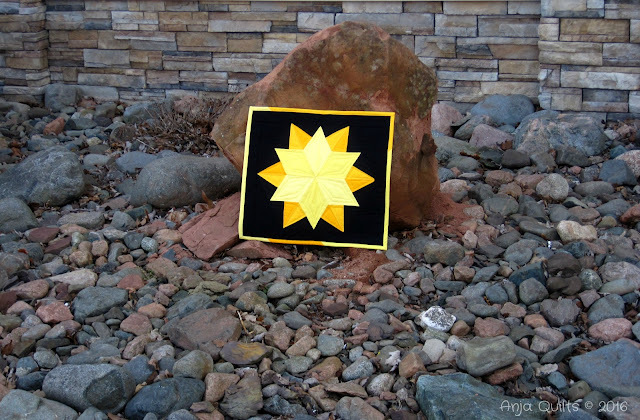 There was one block not used in the quilt top, and I finally decided what to make with it. A wall hanging. I tried some dot-to-dot quilting à la Angela Walters. 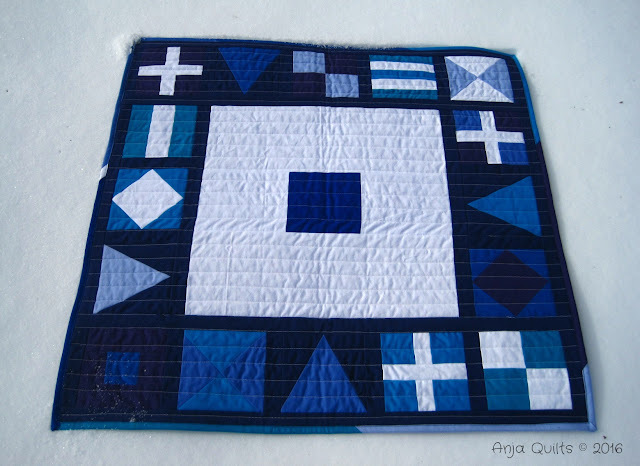 I highly recommend her class: Angela Walters: Dot to Dot Quilting (this is an affiliate link whereby I receive a small commission if you purchase the class). 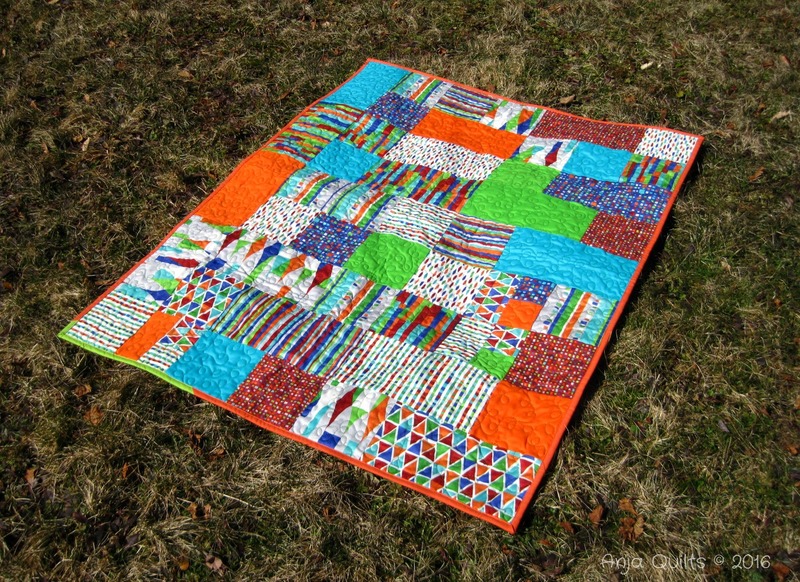 I'm halfway through her class: Machine Quilting: Small Changes, Big Variety. Some of my straight lines are a bit wonky. My Pfaff that I use on a frame is in for cleaning and tune-up, and my LQS is going to order a ruler foot. It's time to buy some rulers because I clearly can't sew a straight line on my own. But the great thing is that I now know how to quilt Night Sky! 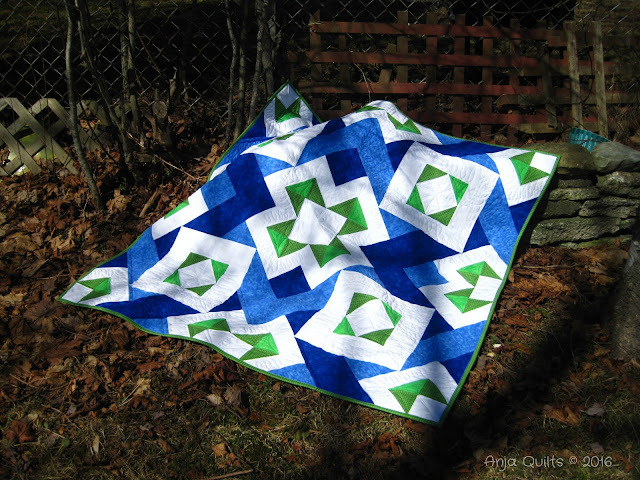 A quilty photo shoot during our recent Maritime Modern Quilt Guild retreat. 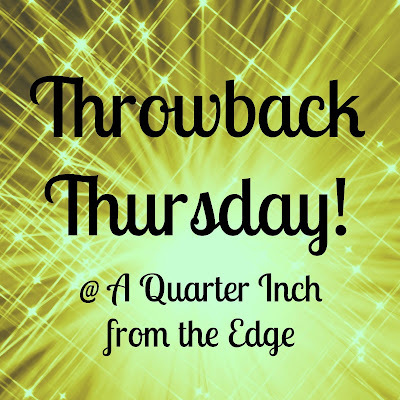 Jenn @ A Quarter Inch from the Edge used the phrase "retreat hangover" this morning. I never knew such a thing existed, but it perfectly describes how I'm feeling today. 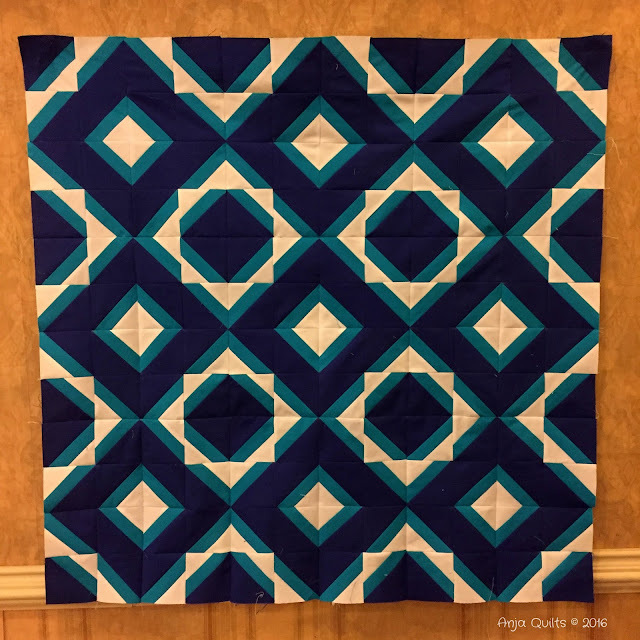 Maritime Modern Quilt Guild hosted its first-ever sewing retreat this past weekend, and I sewed like a crazy woman for three days. Who knew I could stay up until 1:00 a.m. sewing...after having sewed all night long. But now I am paying the price for all that fun -- exhausted beyond belief and woke up with a cold. 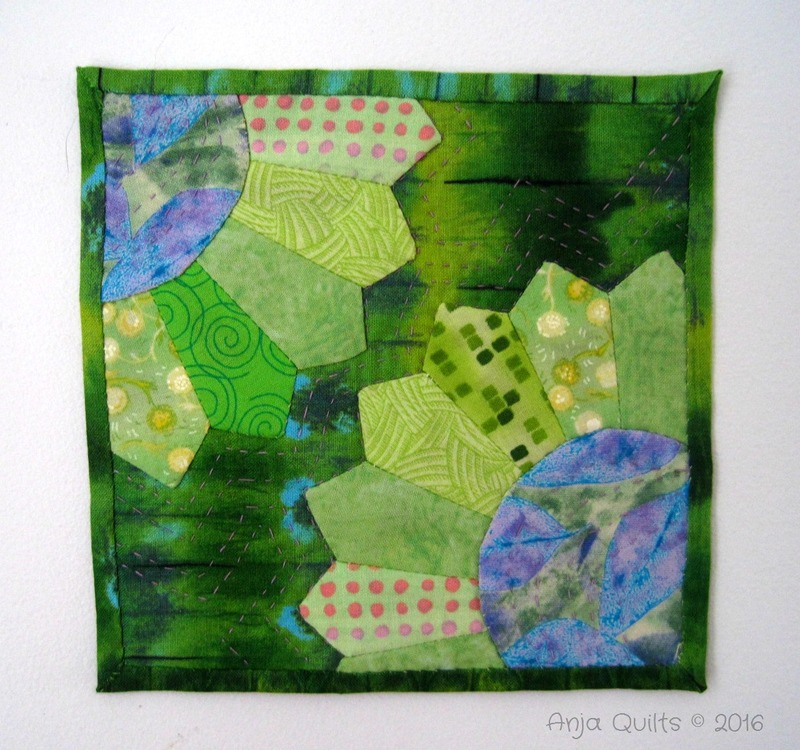 In case you missed my Instagram posts over @anjaquilts, here's a peek at what I was working on. This is a tutorial by Jayne @ Twiggy and Opal. I used some mini charm squares from my stash with some Kona Snow. Since this is a scrap project, I'm linking up with Scraptastic Tuesday @ She Can Quilt. 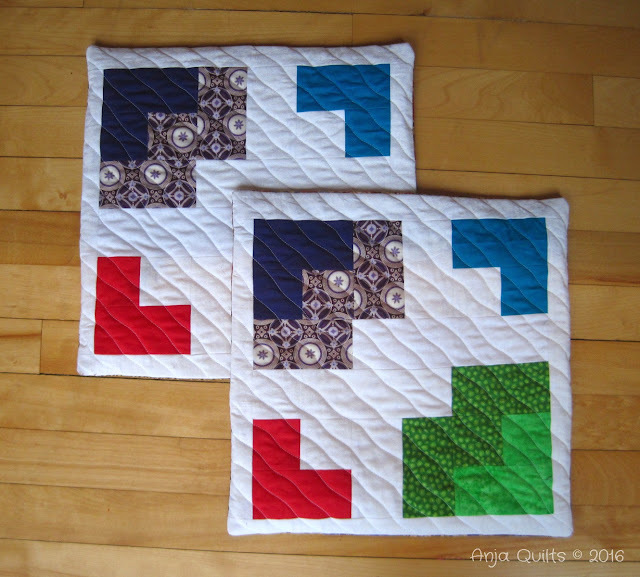 I also finished piecing my blocks for my Notched quilt -- a great tutorial by Yvonne @ Quilting Jetgirl. 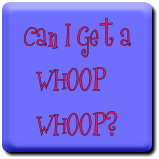 We had three retreat mystery projects. But not a mystery to me because I helped organize them. Guild member and friend Dena created a paper pieced pattern of our guild logo. 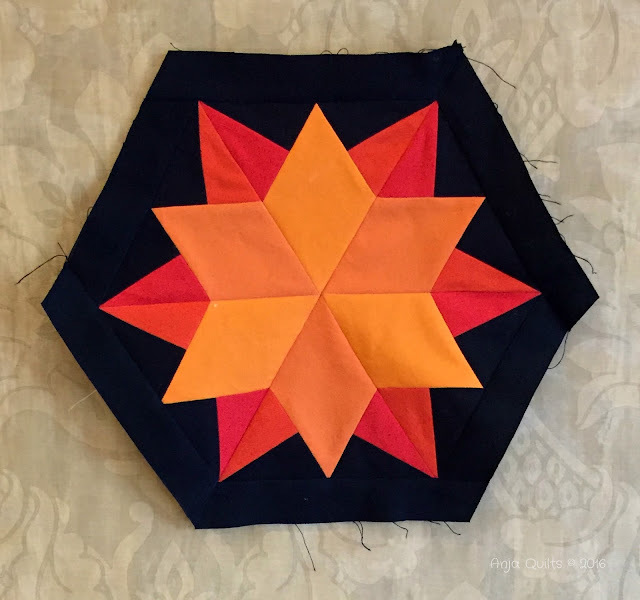 I hate paper piecing, but I decided to be a team player and make one. This project reinforced my hate of paper piecing, and I will not be trying it again. I stayed up until 1:00 a.m. on Saturday to finish it because I couldn't bear to look it again on Sunday morning. It took me several tries on both Friday and Saturday to get it finished. 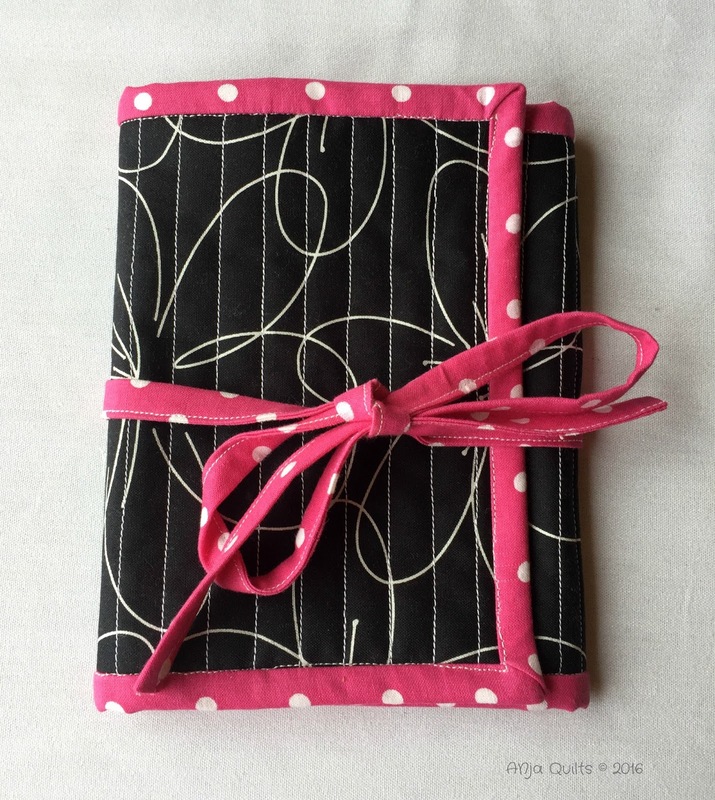 The second mystery project was the Goody Goody Binding Bag by Lella Boutique. I don't put my binding on by hand (who has the patience or time for that), but I thought this was so cute. 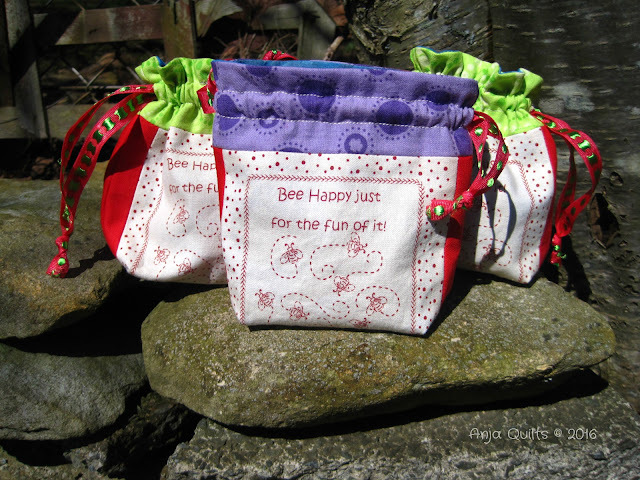 I received these fabrics from Sandra @ Musings of a Menopausal Melon and Julie @ Pink Doxies. 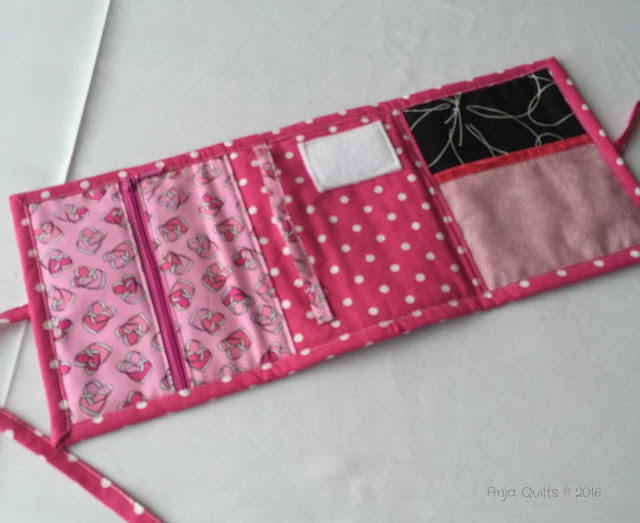 I want to make another one -- maybe with another zippered pouch instead of a pocket. We had a power hour on Saturday to see how many charity blocks could be made. Our guild is making quilts for our local children's hospital. 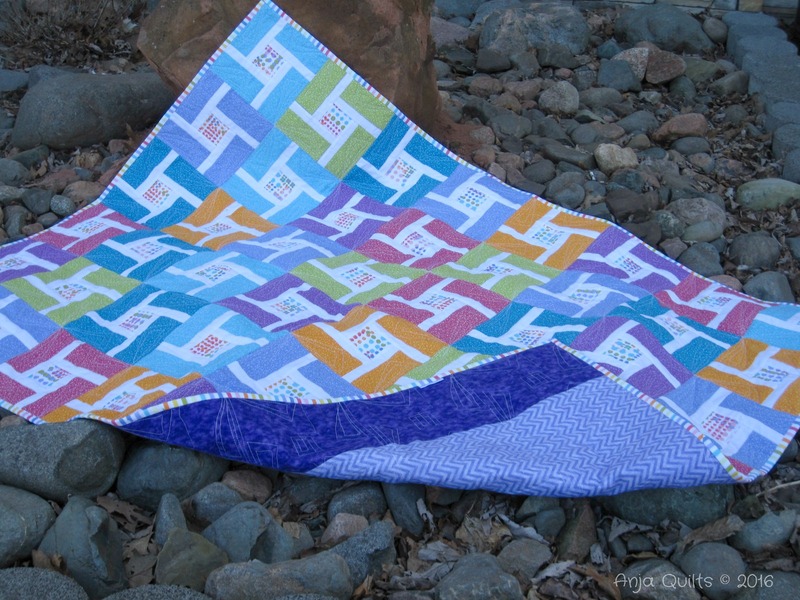 In one hour, enough blocks were sewn to make three twin-sized quilts (80 blocks each). There was some mad crazy sewing going on. Prizes were awarded to the top three members who made the most blocks. I'm was very happy and blessed to have made 37 blocks in one hour and won a sewing tote to carry my sewing machine. As tired as I am, I am already thinking about our next retreat..which is not even scheduled. LOL There was lots of laughter. Lots of projects made. But most importantly, great fellowship and members helping other members. I belong to an awesome guild. Maritime Modern Quilt Guild is having its first retreat!! 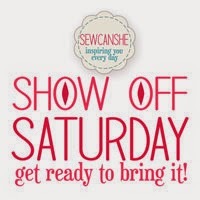 Woo hoo...a whole weekend of uninterrupted sewing. 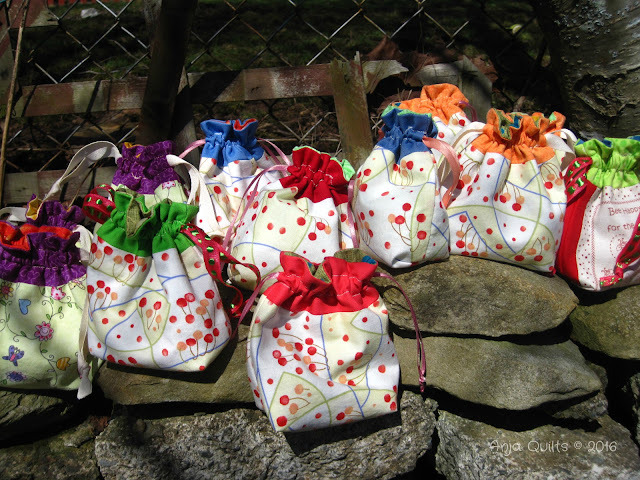 We decided to have swag bags. Everyone makes or brings a little something to put in everyone's bag. Who doesn't love a goody bag??? 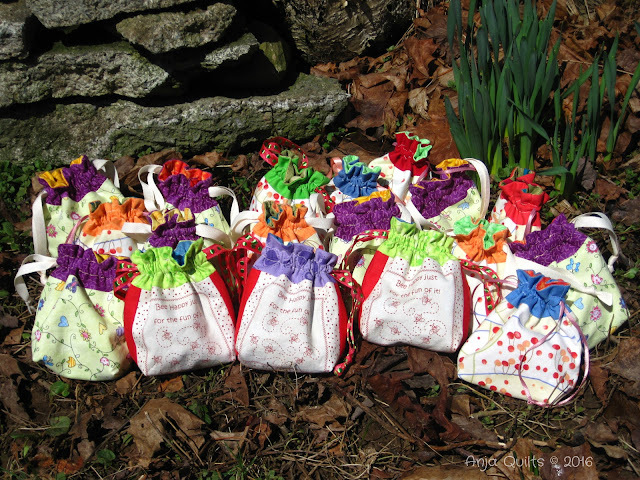 I decided to make little drawstring bags (with chocolate inside). These photos were taken on the weekend when the weather was good. Today...not so much. We woke to a snow and ice storm that caused school to be cancelled. And now it's raining. I'm still looking for Spring. 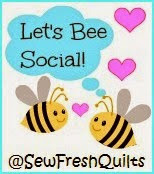 My Q-Squared bee mates are participating, so I did a little something different for them. I love living in my comfort zone -- doing things I know and am comfortable with. But I do know it's important to get outside of that box in order to grow and learn new things. 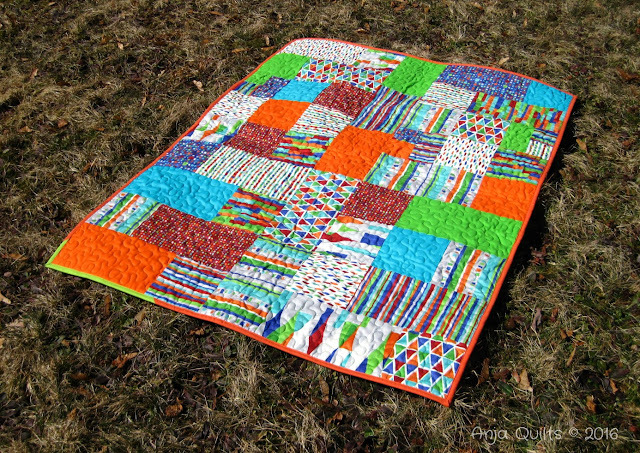 My quilting friends have been known to coax me out of the box, but generally with me kicking and screaming. In an attempt to continue trying new things, I decided that this year was all about Yes. If an opportunity presented itself, I would say Yes (where possible). Here is one Yes that I was a bit excited about. Val @ Purple Boots and Pigtails asked for volunteers to participate with a project. Her One Mans Junk seemed like a great way to get outside of the box. So I put my hand up and volunteered. 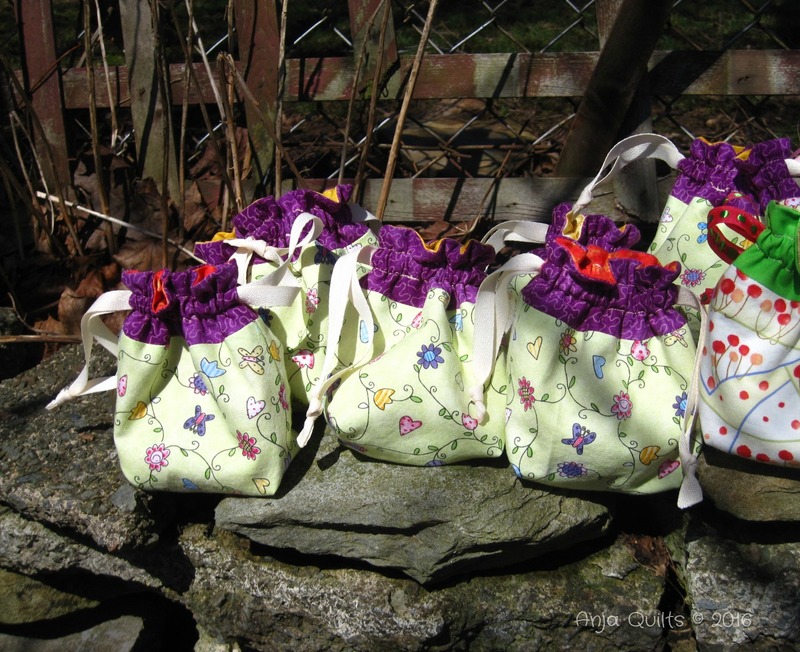 And then she said participants could only use the fabric that was in the scrap bag. Ummm...what??? Excitement gone. 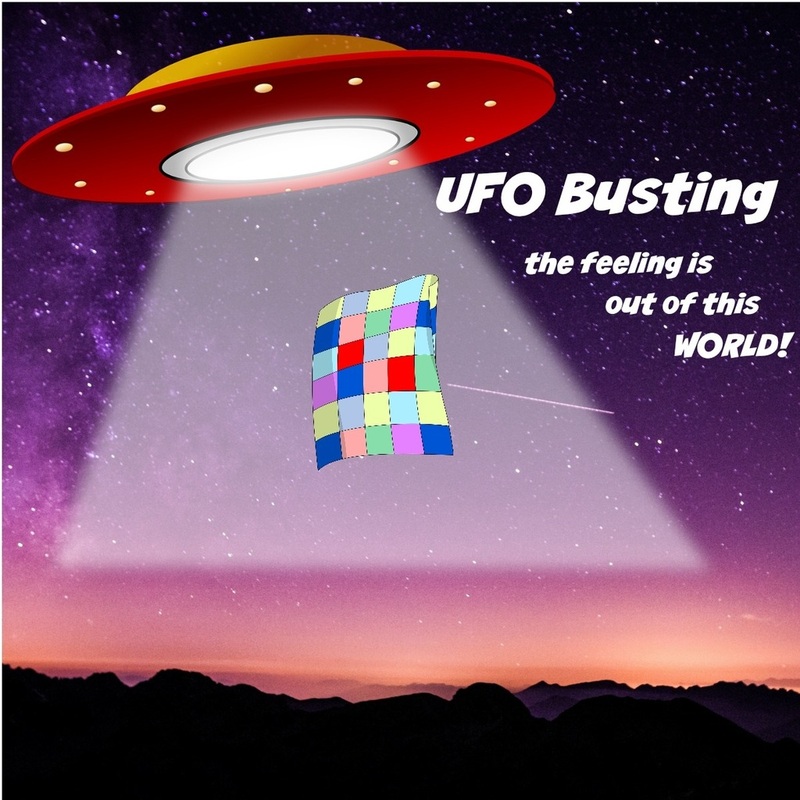 Here's what Val created. It's been a challenge trying to figure out what to add using only the scraps in the bag. Then I had an idea. Excitement returned! Here's a tiny glimpse of what I'll be adding to the project. As I was about to start adding my sections, I had another idea. So now I'm off to figure out how to incorporate this new idea. Stay tuned for an update. I had great success with Q1 of Finish Along 2016, so time to set goals for Q2. 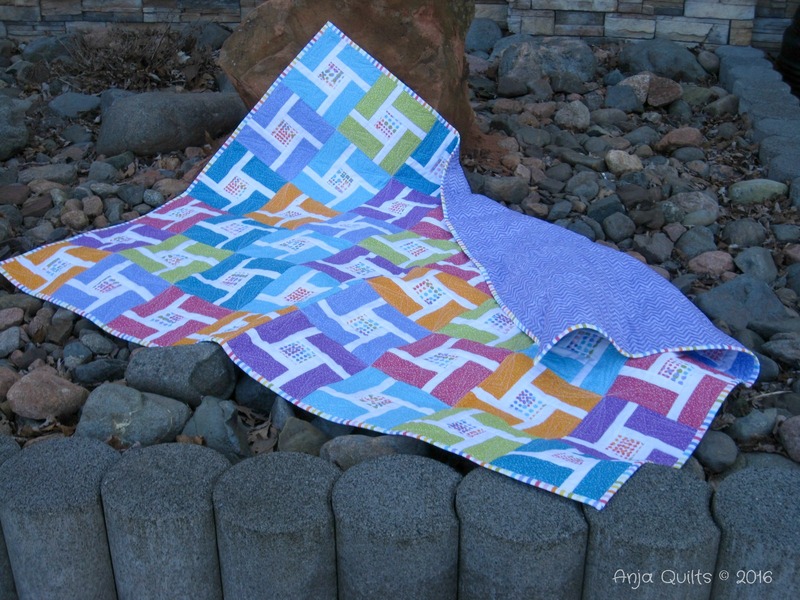 Head over to She Can Quilt for more details if you'd like to play along. It's going to be a busy few months for me, so I'm going to play it safe and only set three goals. I'm still undecided on how to quilt this, but I do have some ideas. 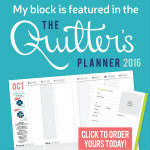 I'll be doing dot-to-dot quilting. This is also my April OMG. 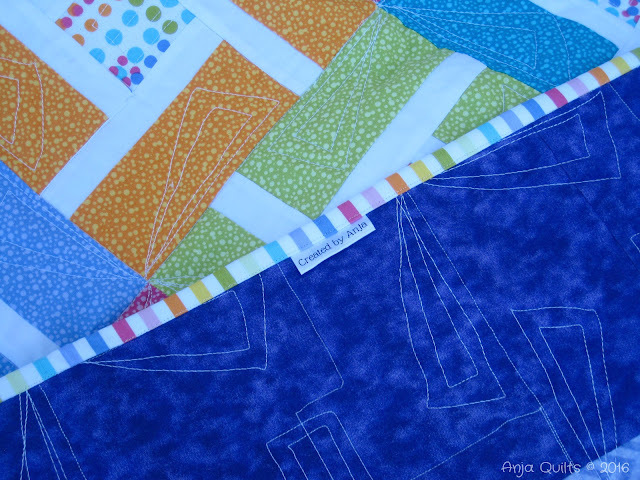 I had a lot of great suggestions for quilting this top. I think I know what I'm going to do, but I'm going to think about it a bit more. 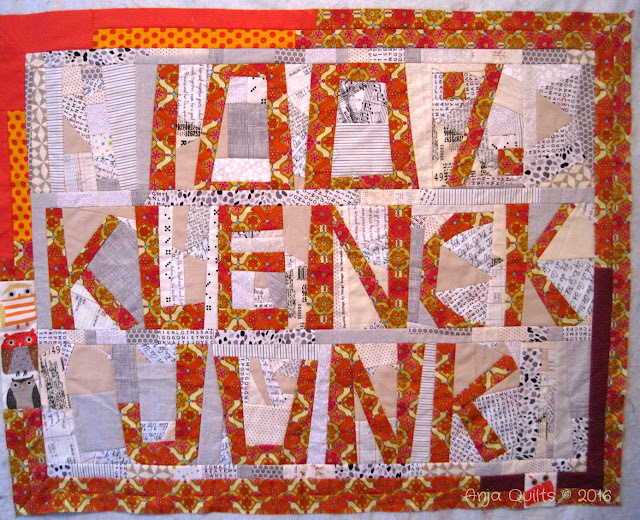 Again, not totally sure how I'm going to quilt it, but I definitely have some ideas. Linking up for Q2 Goal Setting. With all the hustle and bustle of life, I forgot to show you a couple of mini minis. My quilt bee, the Do Bees, did a mini mini swap in March. The only requirement was that it had to include green. The Do Bees have been in existence for about 30 years (maybe more). I joined about 10 or so years ago. This past year, a few members left the group, and there are now just five of us. Each of the minis were numbered, and then we each picked a number. I received this beauty from Karel. 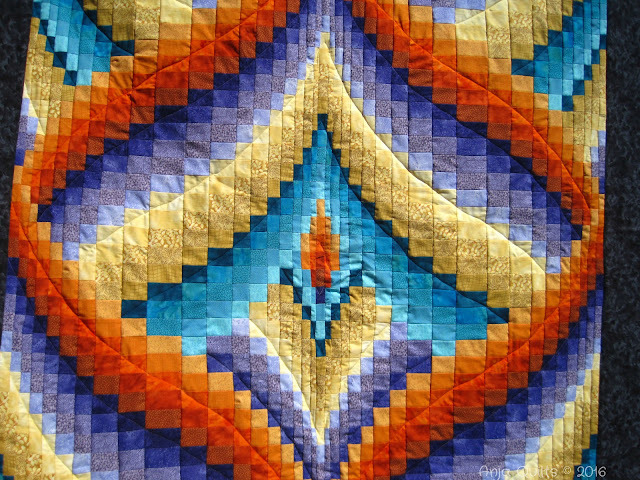 A closeup of the hand quilting. This is the mini mini I made -- playing around with some mini HST's. We had so much fun, we have now planned a round robin project. 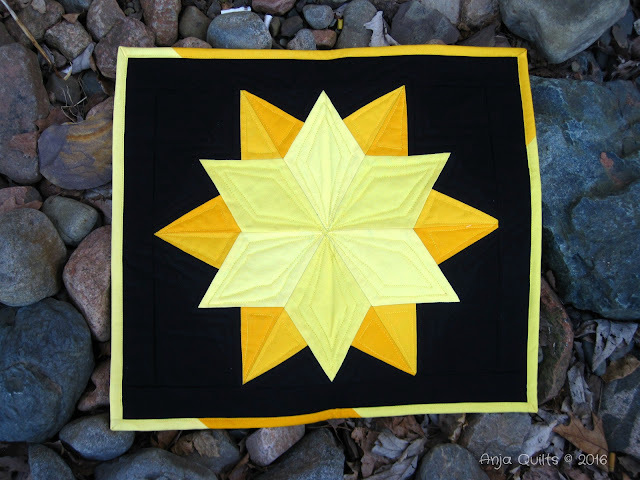 I need to come up with an 8-inch centre medallion, which is due in two weeks. Time to panic and figure out what to make. It's time for Throwback Thursday hosted by Jenn @ A Quarter Inch from the Edge. TBT is a chance to showcase quilts from the past. 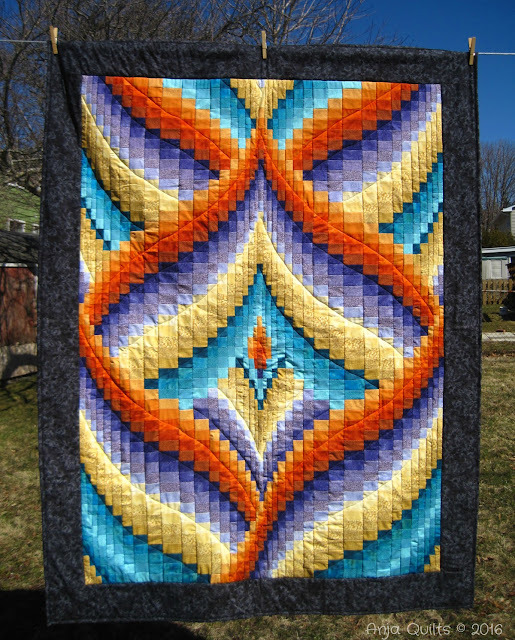 I took Heather Stewart's Spiral Bargello workshop back in 2008, or 2009, or maybe it was 2010. There's no date on the workshop handouts. I did not finish the quilt until sometime in 2013 or 2014 -- I didn't put a label on the back. There was a lot of prep work in advance of the workshop. 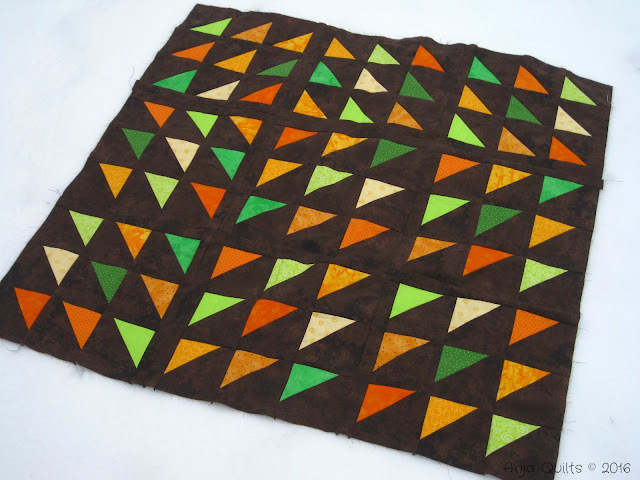 All 20 colours (five of each colour family) had to be sewn into strip sets. During the workshop, the strips sets were cut into varying widths -- from 3/4 inch up to 2.5 inches. Early in the day, I realized this project was not for me. Hence the reason it took so many years for me to finish. But I'm glad I pushed myself to get it finished. It now hangs on the wall in the dining room. Head over to Throwback Thursday to see more quilts from the past. It's time to set a goal for April. 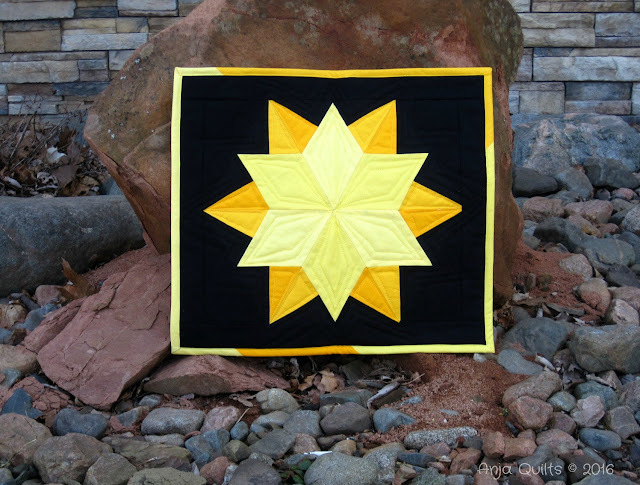 One Monthly Goal is hosted by Heidi @ Red Letter Quilts. 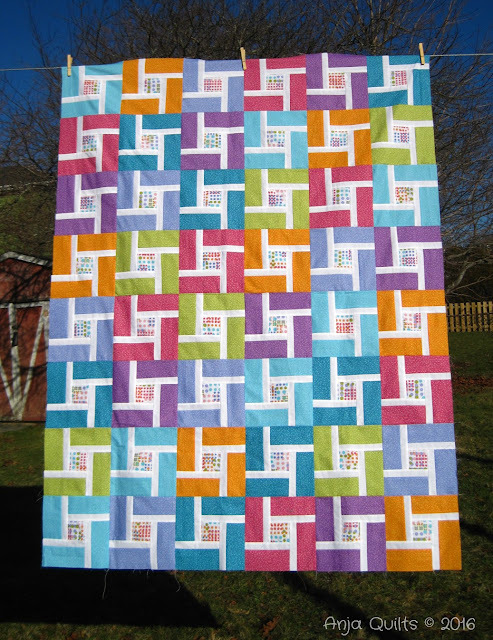 I finished this quilt top back in January. But Strip Twist has been hanging around my sewing room because I had no clue how to quilt it. Procrastination time is over -- my April OMG is to quilt this. 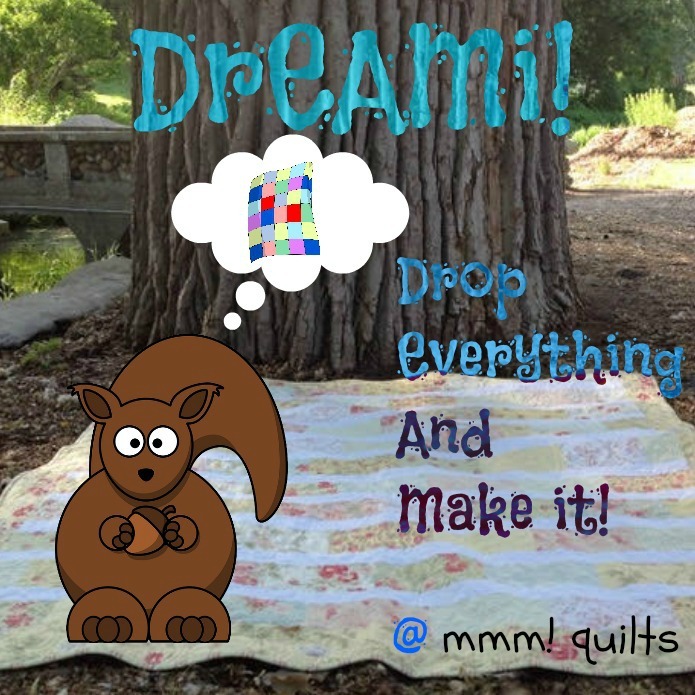 And because I need motivation to get it quilted and to continue to try new things, I'm going to be a #BraveQuilter and link up with Julie @ Pink Doxies -- I'm going to do dot-to-dot quilting. There's no turning back now that I've spoken it into the universe. 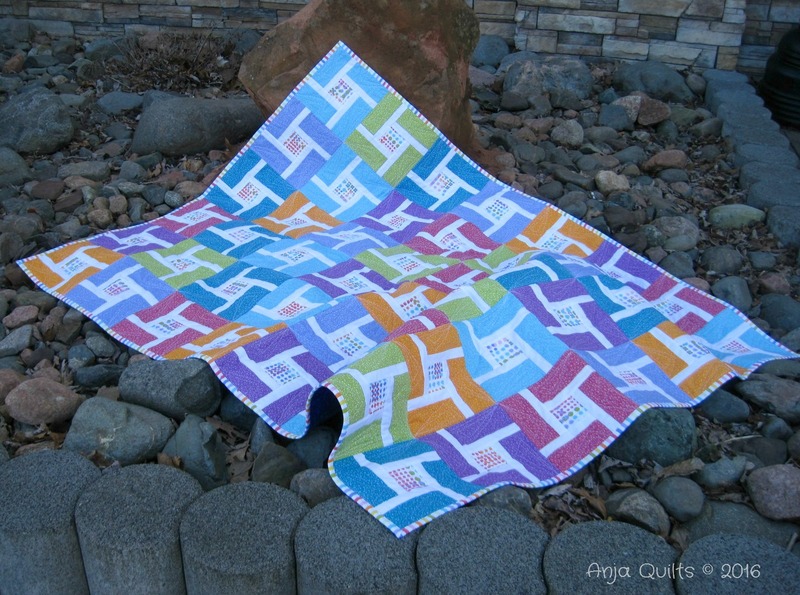 I recently watched Angela Walters: Dot to Dot Quilting (this is an affiliate link whereby I receive a small commission if you purchase the class). This is a great class, and I'm no longer afraid to try new FMQ motifs (okay maybe still a little bit afraid, but not so afraid not to try new things). I'm surprised at how motivated I was to jump in after watching this class. 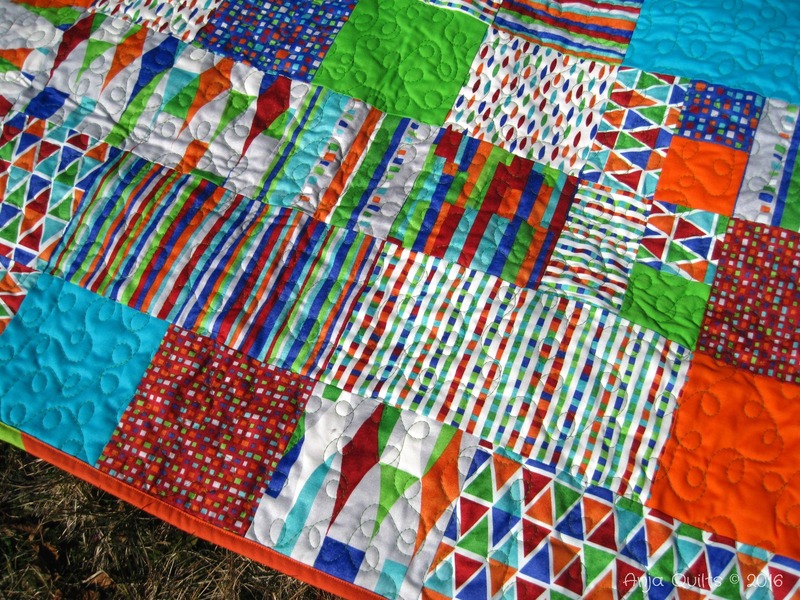 Now to muster that same motivation and courage to get this one quilted. 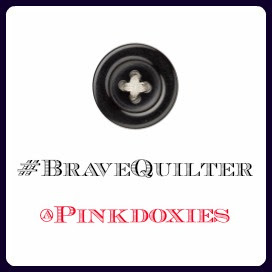 Will you be a #BraveQuilter this month? The first quarter of Finish Along 2016 has come to an end. And I completed all four goals that I set here back in January!! FAL 2016 is being hosted by several bloggers. 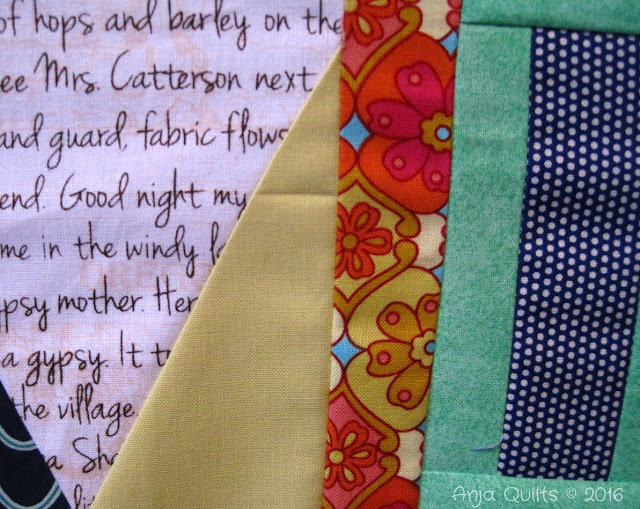 You can read more details over at She Can Quilt. 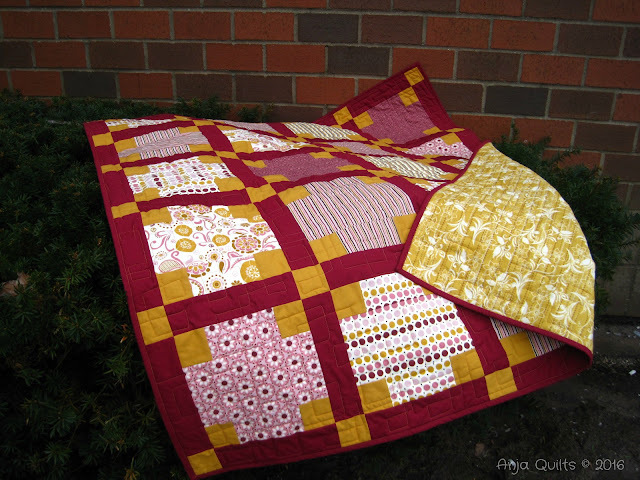 Here are photos of the finished quilts, as well as a link to the blog post showcasing the finish in case you missed it. Time to think about goals for Q2. I found that setting goals helped keep me focused on finishing projects. 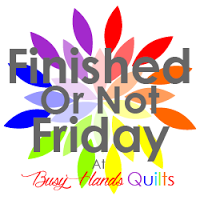 I'm linking up with the Q1 Finishes Link Up. 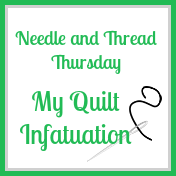 Today was all about procrastination -- avoiding the housework, the laundry, quilt projects needing to be worked on, volunteer work...the list goes on and on. I needed a quick sewing project, so I decided to make a few blocks. I made the Stash Bee block for April. Sandy @ Upstairs Hobby Room has been hosting a One Block Wonders BOM since October. I don't know where the time goes, but I only just finally managed to play along. 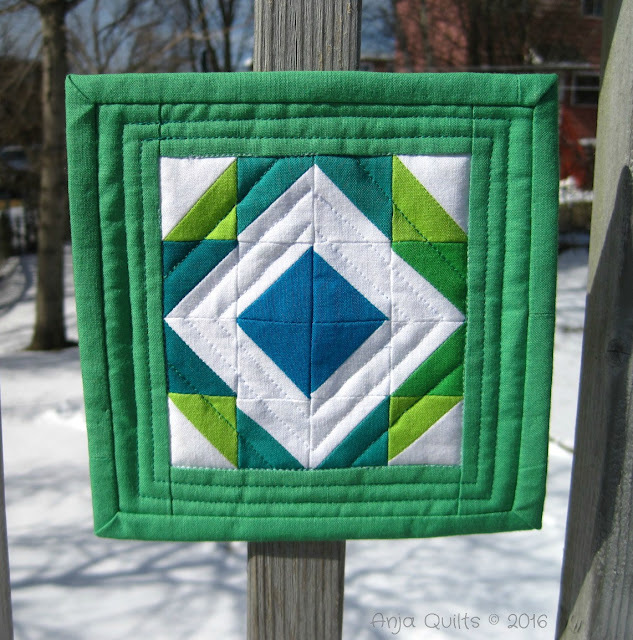 March's block is called One Plus One. 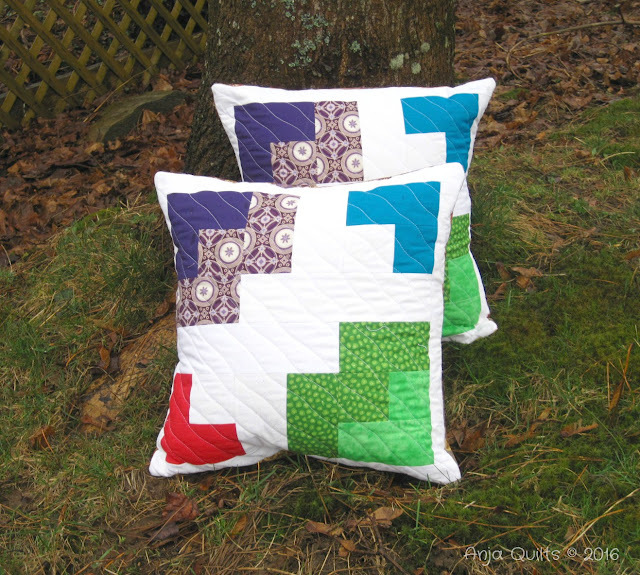 I decided to make two pillows rather than a quilt. 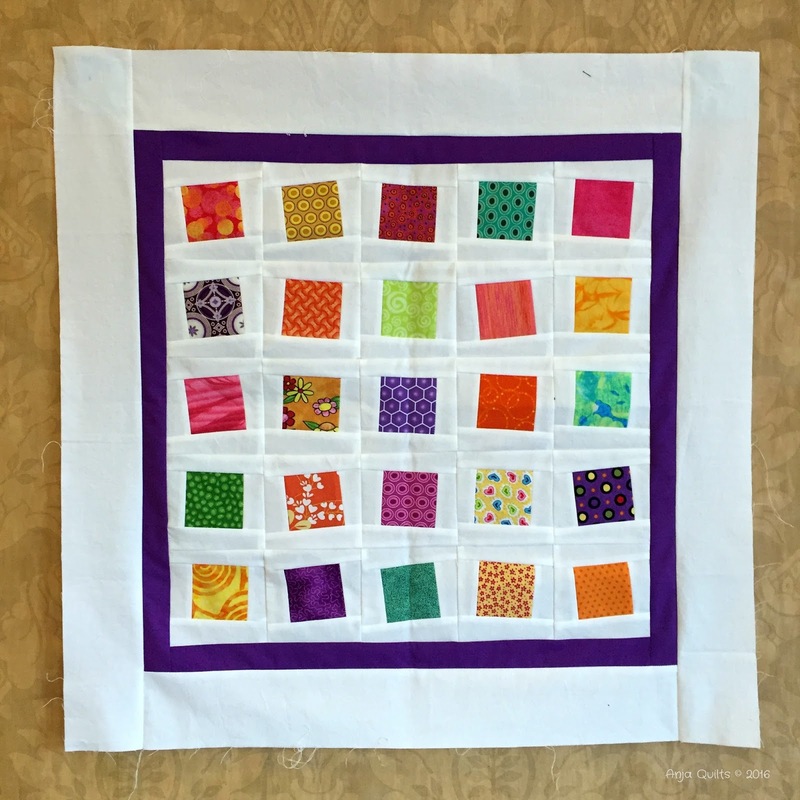 I added a white border to make the 12.5-inch block into a 14-inch pillow. 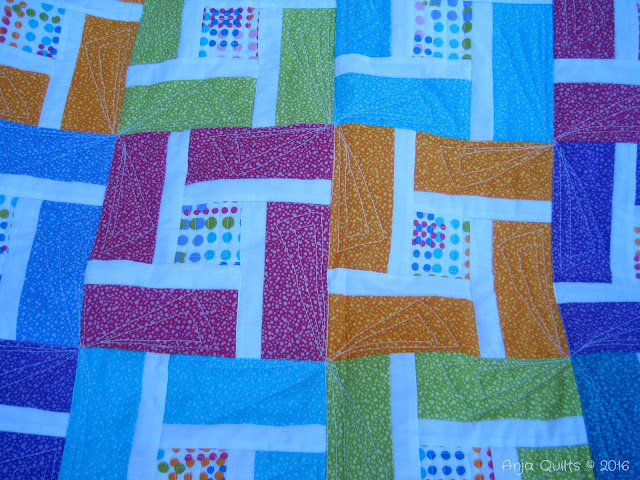 And to continue with the procrastination, I quilted the blocks and made an envelope back. Thanks to Dena for the suggestion of organic wavy lines on the diagonal. A quick gift at the ready. Now to see if I have enough fabric in my stash to make the December block into a quilt. Time to get some laundry done. Did you manage to make time for quilting today? 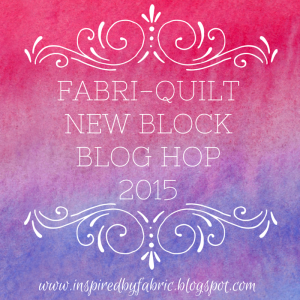 Linking up with the March One Block Wonders link up party over at Upstairs Hobby Room. Nothing exciting for a finish this week, but a double finish nonetheless. 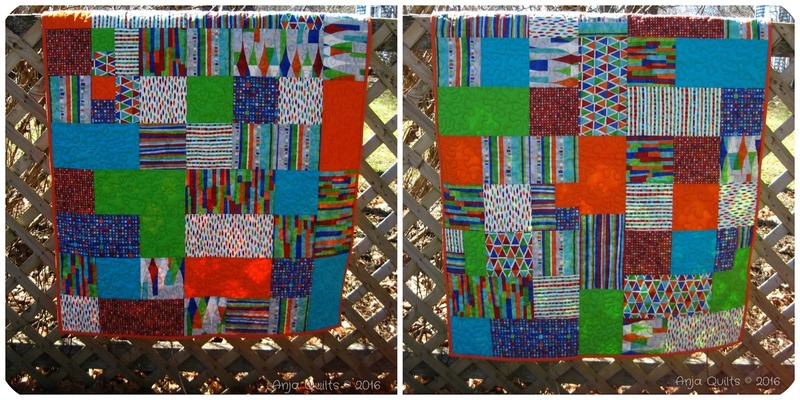 I quilted the two Fat Quarter Frenzy quilts that were a WIP back in February. 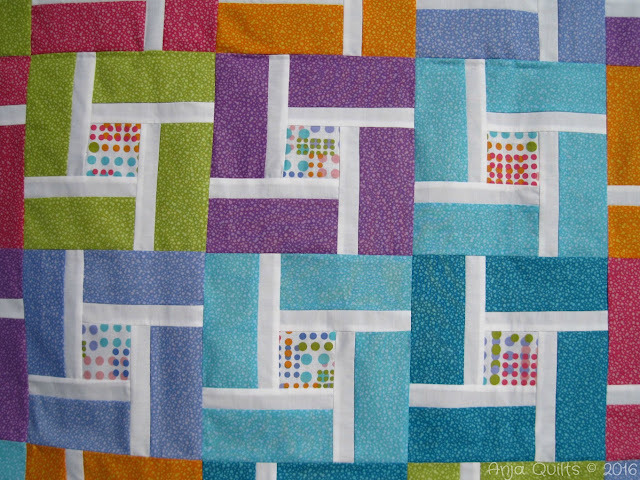 FMQ loops on one and FMQ stipple on the other. 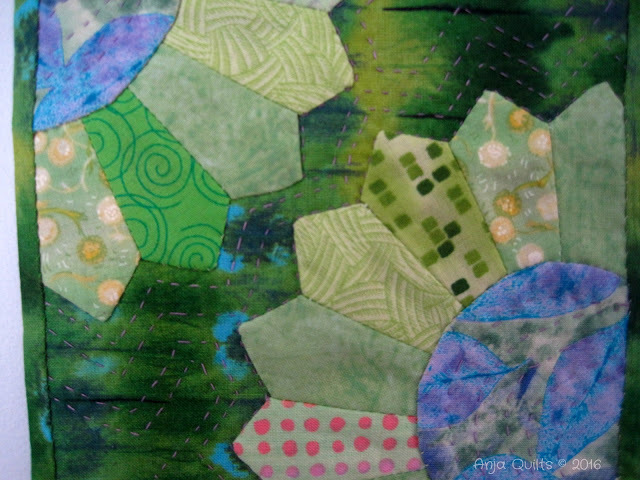 I'm comfortable with stippling and loops now, so I guess I need to continue with my journey to learn new quilting motifs. These two will be headed to our local children's hospital. 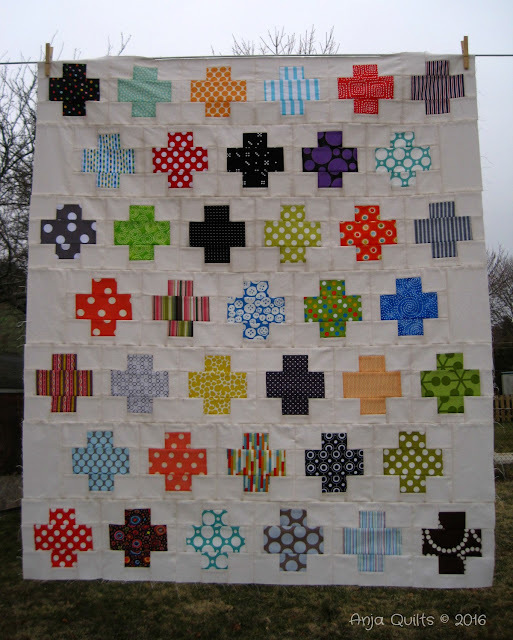 Which reminds me...I have several charity quilts that I need to deliver.